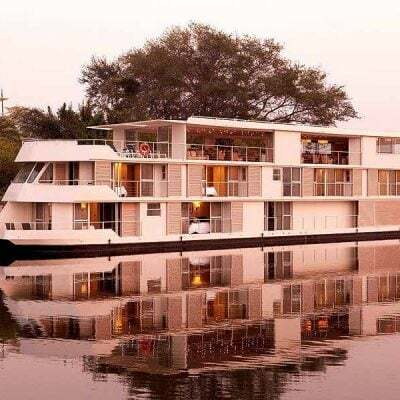 Our ship, the Viking Star, would be in the German seaport of Warnemunde from early morning till night so passengers could spend one day in Berlin as a complimentary shore excursion. The ship had chartered a train for us which would leave right from the port for the 2-½ to 3-hour ride into the city. Then we’d hop on a bus for a guided, 90-minute sightseeing tour of Berlin, followed by four hours on our own to do what we wished. Later, we’d catch the train back to the ship, returning at 8:00 p.m. Not exactly like having three days to experience the best of Berlin (which would be far preferable) – or having even 24 hours in Berlin. But this would at least give us a taste of the city. The day was going to be HOT, however. Unbelievably, in the middle of September, the forecast was for temps to be in the 90’s! 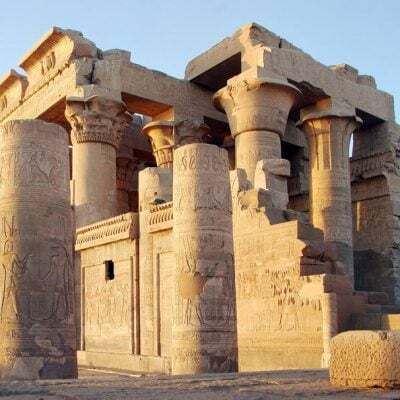 We visited many more fabulous ports on this “Viking Homelands” cruise – click here to read next! 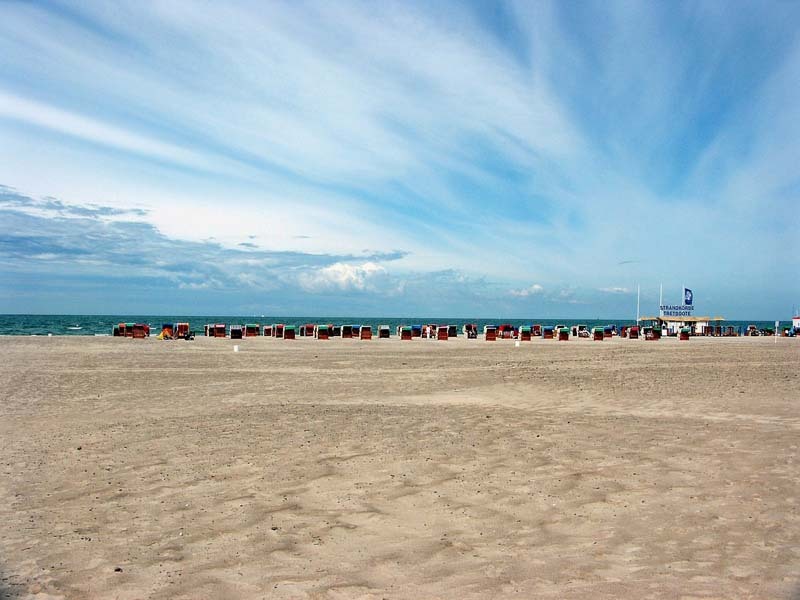 A beautiful Baltic beach… Or one day in Berlin? We could rent bicycles and pedal out of Warnemunde along the forested coast, past Baltic beaches (some nudist – maybe we could get an allover tan?). In the afternoon, we could take a 30-minute boat ride to the medieval university town of Rostock. Wouldn’t that be a more pleasant way to spend our time than journeying six hours on a train for only a few hours in Berlin? That’s what Rick Steves did when his ship stopped at Warnemunde. The train ride was actually a fun part of our quickie Berlin visit. 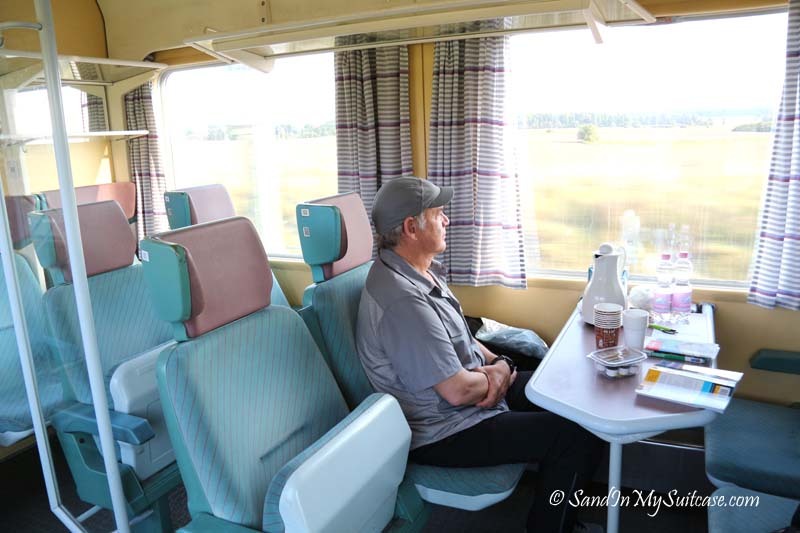 In comfortable carriages with lots of seats to spread ourselves out (and coffee and cookies waiting for us), we traveled through pastoral countryside, past green farmland and small lakes, where swans and ducks swam by the reeds. Through open train windows, we could smell fresh-cut hay. Before coming into Berlin, we passed forests with sunbeams filtering through the trees. 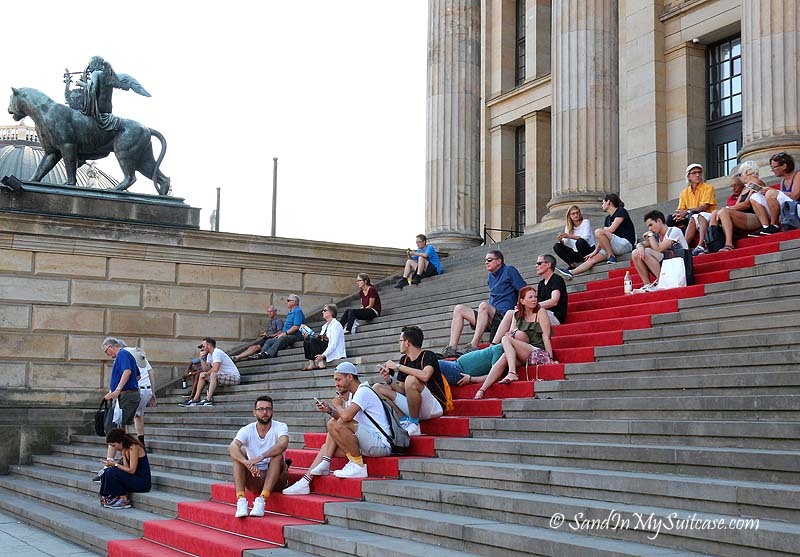 What can you see in Berlin in a day? 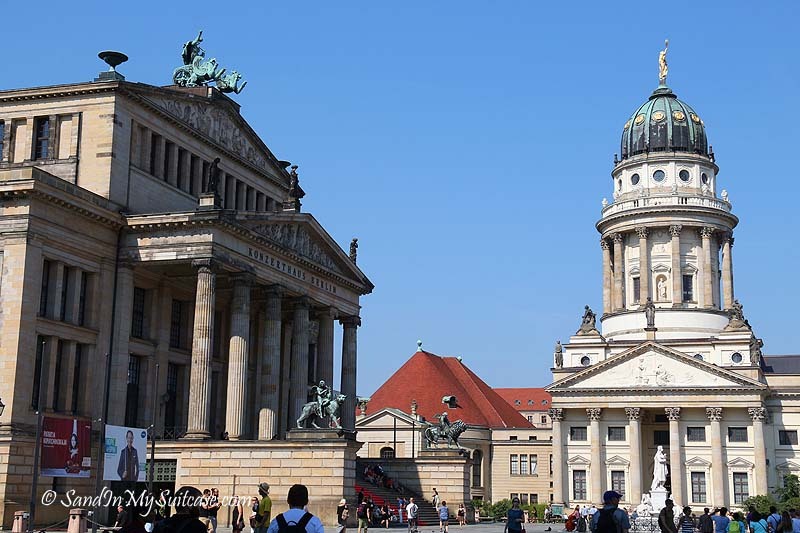 In Berlin, our panoramic bus tour took us to some of the most important sites, giving us a quick overview of the city’s attractions. 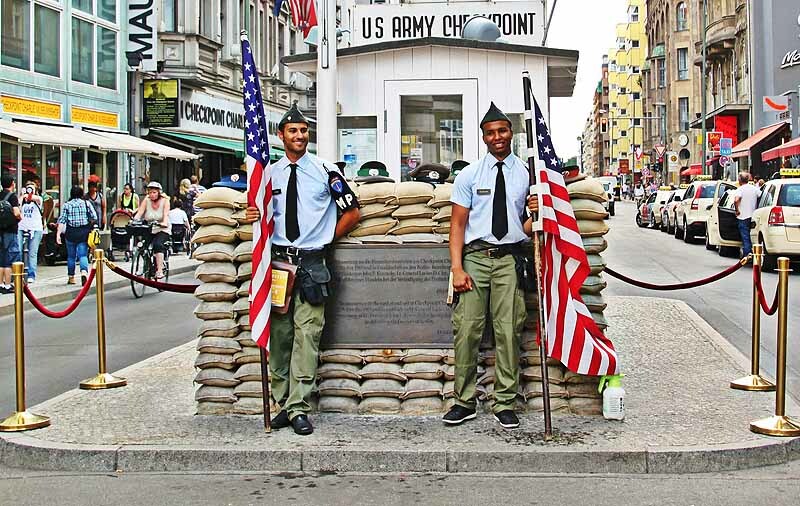 We drove by the Reichstag (Germany’s parliament building) and former “Checkpoint Charlie” (a little hokey now – actors dressed in fake soldier uniforms charge tourists to have their photos taken). And we stopped for photos at the massive, neo-classical 1791 Brandenburg Gate. Our bus also stopped at the “East Side Gallery.” This section of the Berlin Wall, almost one mile long, is covered with 105 paintings by artists from all over the world, invited in 1990 (a year after the Wall fell) to paint on the Wall – it’s probably the largest open-air art gallery in the world. 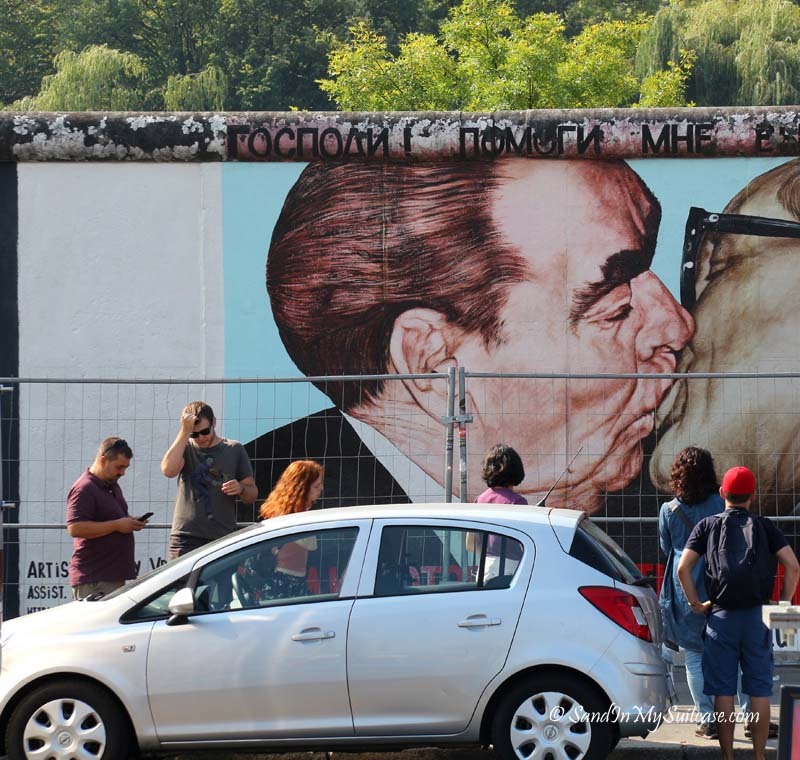 The most famous painting is that of former Soviet leader Leonid Brezhnev kissing Erich Honecker, leader of pre-1989 East Germany. We had to content ourselves with shooting from across the street, hoping for gaps in between slow-rolling buses. It was a short-but-sweet tour of some of the main things to see in Berlin. And then we were set free, armed with maps and tips for what to see on our own. Our plan was to stroll the grand central boulevard, Unter den Linden (named for its linden trees). And we did some of that before melting in the heat and making a beeline for the German Historical Museum (which we hoped would have air conditioning). 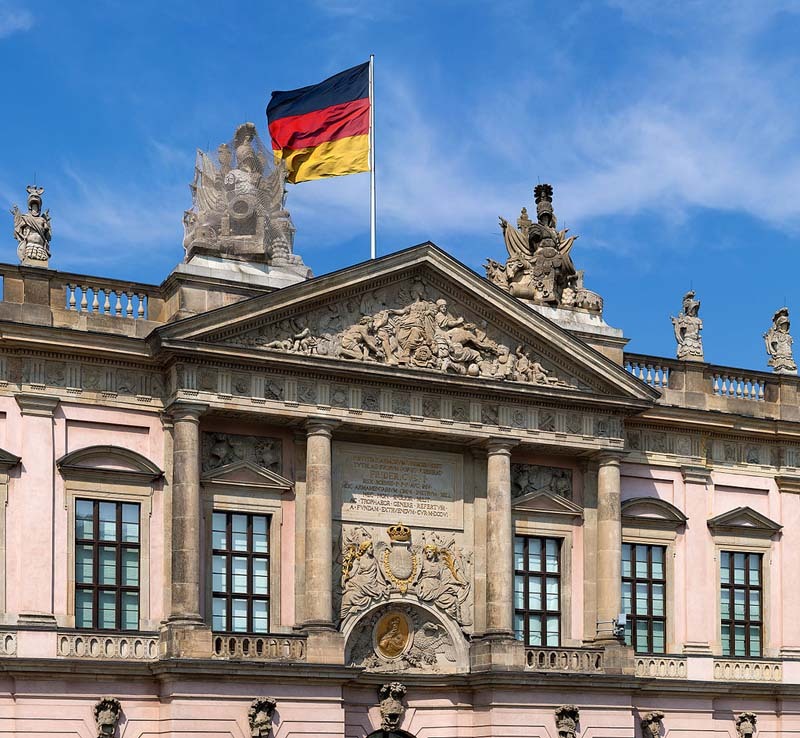 Packed with some 8,000 exhibits, the German Historical Museum is considered one of the best museums in Berlin – we thought it superb. Everything from art and armor to Napoleon’s hat to pieces of the Berlin Wall are on display. 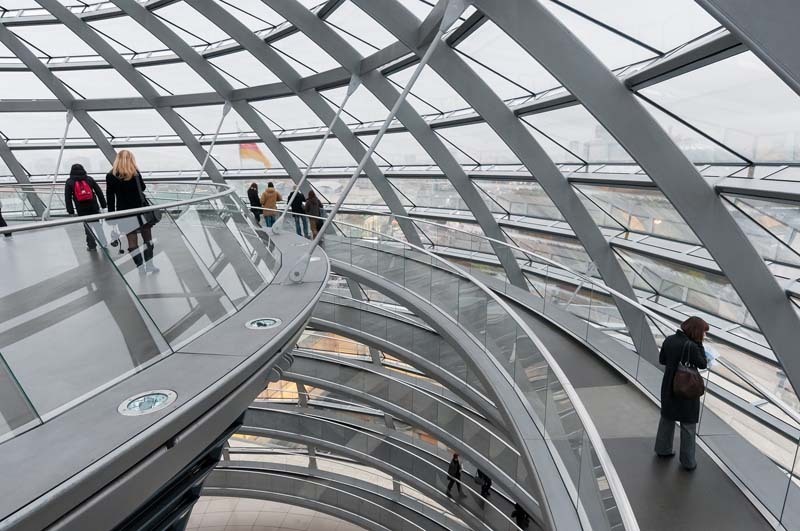 The upper floor covers Germany’s history from the Middle Ages to the end of the First World War, but we devoted most of our time on the ground floor – covering Hitler’s rise, WWII and then the Cold War and the divide and subsequent reunification of Berlin. 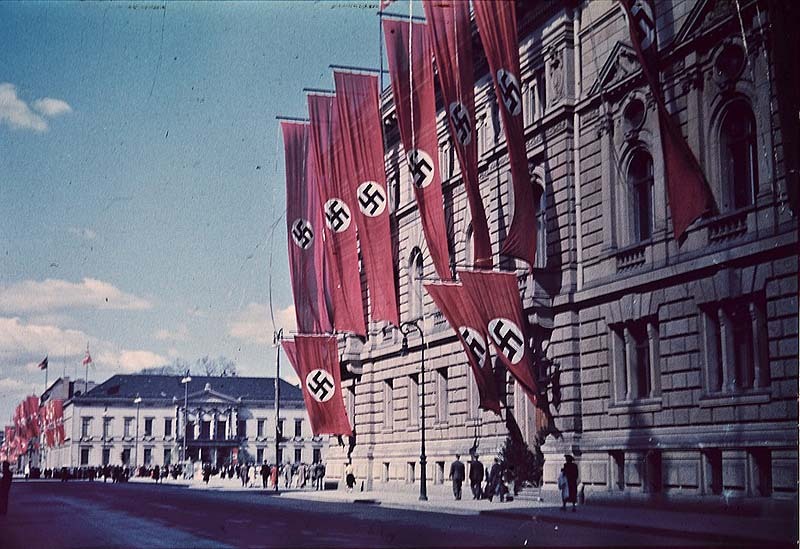 No matter how many times we’d read about the horrors associated with Hitler, learning more about those tragic times in the city where Hitler ruled made the Nazi years more immediate for us. Seeing documents ordering the deaths of some of the 70,000 mentally and physically disabled German patients who were “euthanized” caused shivers to run up and down our spines. Be sure to get a hand-held audio guide – it really added to our understanding and brought Germany’s turbulent times to life. Allow a good four hours to properly go through the museum. Stop at the museum café for a cappuccino or refreshments – its outdoor seating under the shade of leafy trees is a pleasant way to get reacquainted with the modern world after being immersed in the past. Museum exhibits depicting life in the former East Berlin – like the replica of a typical apartment – triggered an interesting discussion later with our young, liberal university student guide, Julia, who accompanied us on the return train ride back to our ship. Not everyone who lived under the thumb of communist Germany was unhappy with their lives. “My parents liked parts of the East German rule,” she shared. They were born in East Berlin in the 60s, shortly after the Wall was erected, so communist life would have been the only way of life they knew. It was with mixed feelings when we reboarded our ship that night. 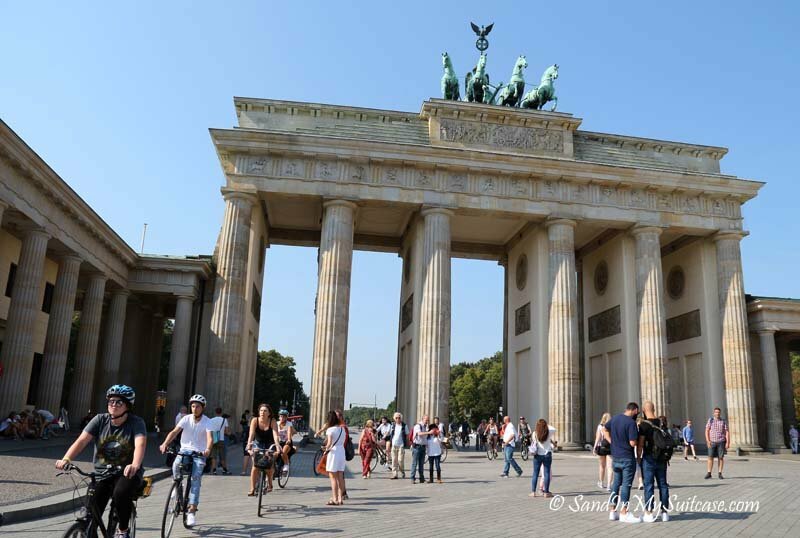 Visiting Berlin in a day doesn’t do the city justice – we’d barely even scratched the surface and now wanted to dig deeper. But at least we had our one day in Berlin. 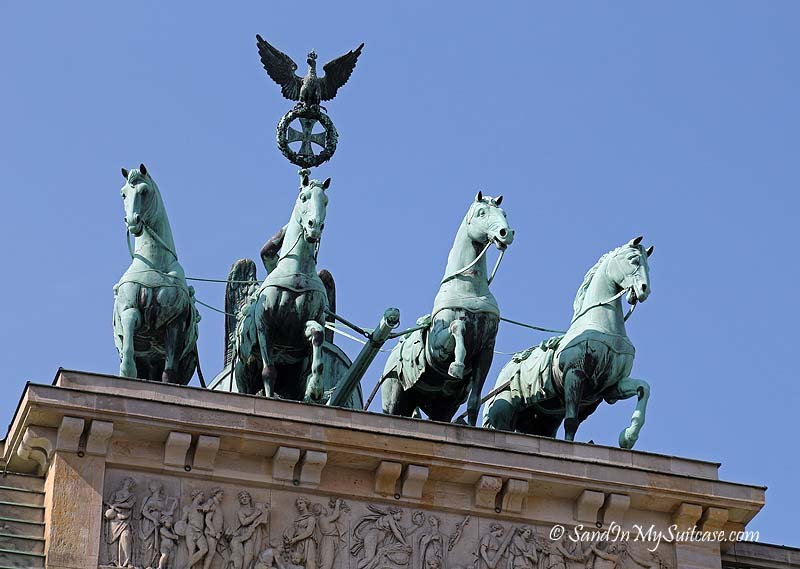 Most visitors don’t just breeze in and out of Berlin (or visit by cruise ship) like we did for our day trip. Berlin has so much to offer that, if possible, you’d clearly want to devote more time to exploring the city than just one day. 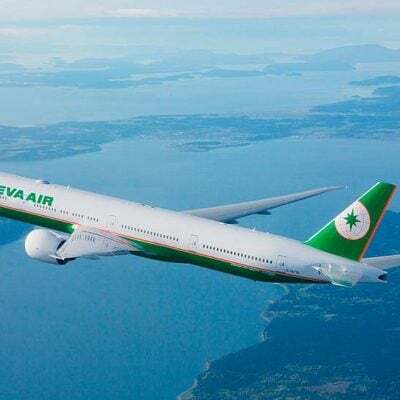 Check travel website GoEuro.com to search for the best options by train, bus or plane to Berlin. 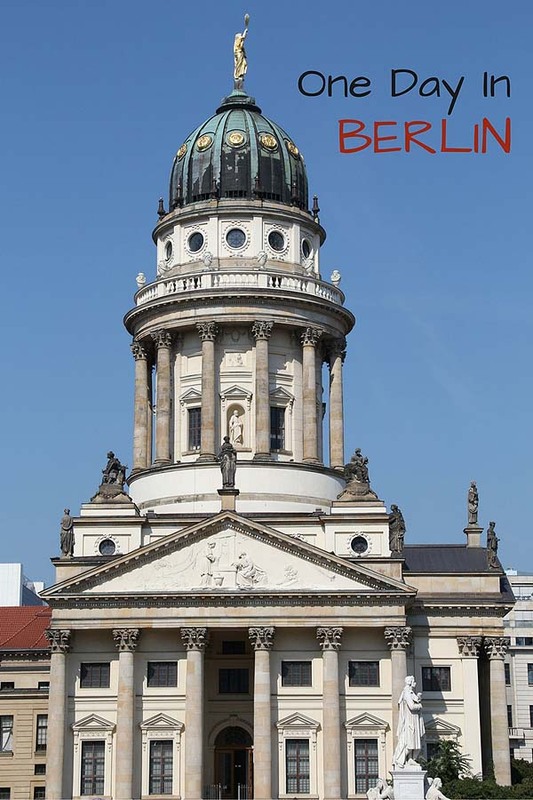 Their Travel to Berlin page especially is a great online resource that can compare prices, travel times and general city tips. Click on the image below to pin to Pinterest :-). Disclosure: This post has been made possible by GoEuro, which is based in Berlin. This story of our short tour of Berlin is completely our own, however, and GoEuro had no influence over our thoughts and words. We’ve also spent only one day in Berlin, but I think this great city deserves so much more. One day is barely enough to just get an idea about what’s there, like you and I did. There are some great museums there that I’d love to visit. We’ll return for sure. That’s what we thought. We’d grab the time we had and enjoy! Funny! We’re usually pretty good at accommodating each other though. Had we gone to the beach, it might have been pleasant, but not memorable. But how can we forget Berlin? 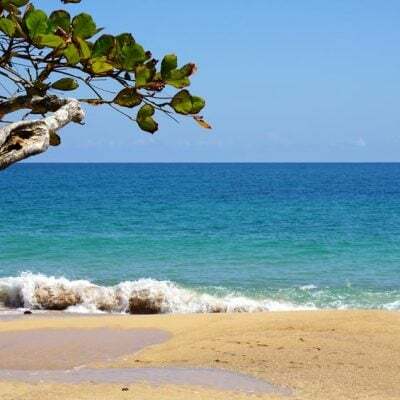 And we’ll get lots of beaches in a Panama/Costa Rica trip early next year :-). 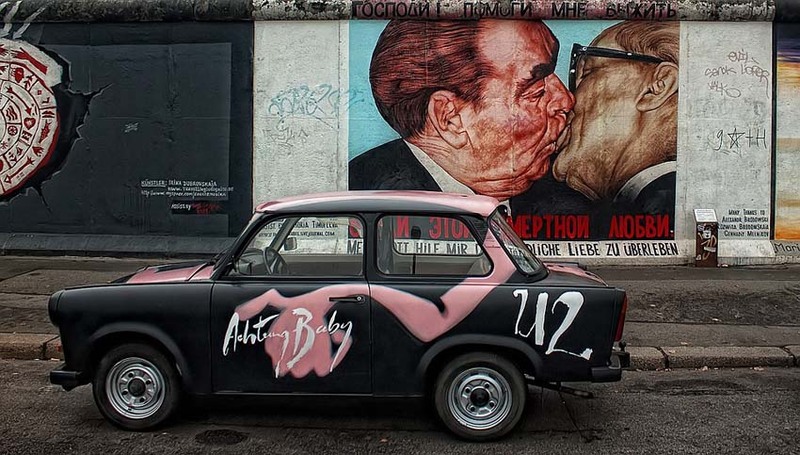 I have wanted to visit Berlin for a long time, so if I had been in your shoes, I would have done just the same! So much architecture to see. Yes, we have no regrets :-). 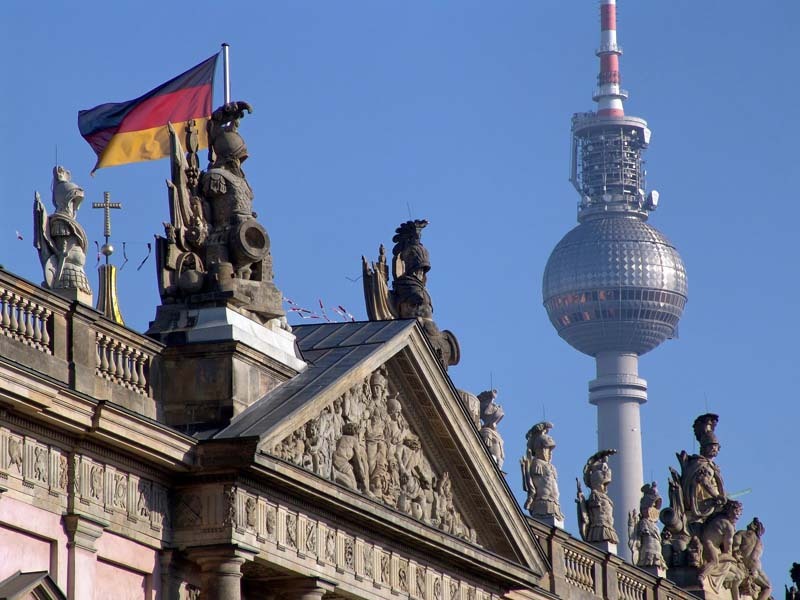 We got a taste… There are many more world-class museums we’d like to explore in Berlin – next time, right?